Soak up the scenery of the Sarapiqui River without facing the fury of the white-water rapids with a relaxing safari float. Wind your way downstream along the gentlest part of the river and soak up the scenery of the Sarapiqui canyon along the way. The leisurely pace is ideal for wildlife spotting so keep a look out for howler monkeys, iguanas, sloths and hummingbirds as you drift through the rainforest. 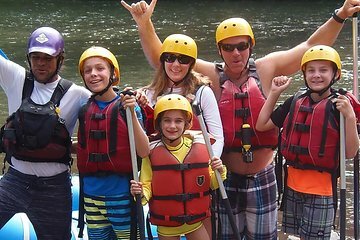 Best of all: this rafting tour is suitable for all abilities, including complete beginners, and anyone over 4 years old can take part!